When a customer has made the decision to apply for a credit card with you, it is not the end of their purchasing journey. Now they have to fill in their personal information in application form and go through heaps of admin. The complexity of the application forms involved can lead to high customer drop-out rates: something your business wants to avoid. I analysed 24 credit card application forms from the major companies. Assessing 52 metrics from number of steps to types of inline validation used, I then ranked them based on the likelihood of customer conversion. I also looked at 17 credit card eligibility forms, including those from aggregators. These are shorter forms which by their very nature should be straightforward and quick to complete. The results will help you boost your success rate in this competitive market. Follow my five form improvements tips and you could be making that crucial difference between conversion and abandonment. Inline validation is a simple method of highlighting errors as a user moves through a form towards their end-goal: completion. Instead of a list of mistakes appearing once a page has been submitted, they show up field-by-field. My research reveals that almost 30% of credit card companies don’t use inline validation at all in their application forms, with 30% informing the user when they enter data successfully and when they’ve made an error. The remaining 40% only highlight when an error has been made. The figures are even higher for eligibility forms with almost two thirds (65%) not using any form of inline validation. Too many credit card companies are missing out on this quick-win technique. It’s a simple way of sparking your customers’ motivation to complete the form. Your customers are on a journey. Reward them for their progress with the satisfying green ticks from inline validation and they’re more likely to reach their destination. The choice of field types within a form can impact majorly on levels of customer frustration and completion times. A brand claiming to be “quick and easy to use” must deliver on its promise – even at form level. “I’ve not got time now, I’ll do it later” or “I can’t be bothered with this, I’ll try a different company” are typical responses from a long and tiring form. Radio buttons can help here. Using a tick box is the fastest option at just 1.1 seconds to complete a field. But when these aren’t feasible, radio buttons win on the total amount of interaction required and therefore time saved. On average, a field using radio buttons will take 2.8 seconds to complete, from absorbing the question to selecting the answer. This compares to 3.6 seconds for drop-downs and longer still for text boxes at 4.1 seconds. Use of radio buttons on application forms varies greatly between credit card companies. Overall, they make up just 14.3% of all fields, compared with 50.4% for text boxes, 30.3% for drop-downs and 5% for tick boxes. Amongst those embracing the single-click radio button are Nationwide (39.1% of fields), Yorkshire Bank and Clydesdale (both 33.3% of fields). Others have much lower figures, including Saga (2.2% of fields), American Express (3.2% of fields) and Aqua (4.5% of fields). Within eligibility forms, I’ve broken these down into aggregator (e.g. money.co.uk) vs direct credit card company. Here, the aggregators are showing a clear shift from drop-downs towards simple-to-use radio buttons. They make up 16.9% of fields, compared to just 7.8% within direct forms. Take a close look at your field types. Can radio buttons take centre stage? Incorporating a postcode checker to reduce the time taken to provide an address is now commonplace. My research backs this up as only one of the 24 credit companies analysed – M&S Bank – doesn’t use any form of auto-address look-up. This well-established API creates an address by inputting a postcode, simplifying the task by removing the need to click on several fields and type within them accurately. But this original solution to the dilemma is fast becoming outdated. It too has scope for error and takes longer than it could: you have to enter your postcode and house number precisely and then click a few more times to have your address entered. Instead, the future of address entry allows the user to start typing any part of their address – not just a postcode – and then see matches in real-time. Using the new smart address look-up will get you ahead of the game. The number of fields within your form is the main factor in speed of completion and has a direct impact on conversion rates. Even when you need to gather lots of complex data, keeping length to a minimum will encourage users to reach completion. Fewer fields = less time. Less time = a higher chance of customer conversions. Within the credit card industry, there are dramatic differences between the number of fields used in application forms. HSBC asks its applicants to complete a huge 54 fields, taking 251 seconds, while Capital One and Luma require just 17, taking 73 seconds. One appears rather overwhelming, the others a quick task to tick off your to-do list. Which one would you prefer to provide? So how do you fine-tune your fields and reduce their overall number? Can you remove optional fields? Can you adapt your business process to reduce the amount of required data? Can you gather data from information the user has already entered, for example using an API to complete their full name from their email address? This easy-to-set-up optimisation opportunity addresses the challenge presented by ever-increasing mobile usage. Whether on their smartphone or tablet, consumers expect the same great UX they’d get on their PC or laptop. 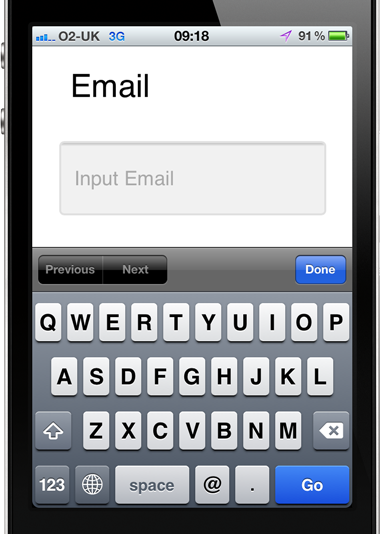 Email – a keyboard which includes an “@” and a “.”, removing the inconvenience of switching between two different keypads while inputting your email address. 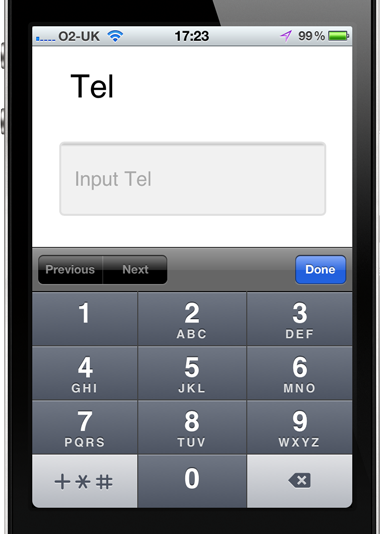 Telephone – a keyboard which shows the familiar user interface that appears on-screen when you make a mobile call. 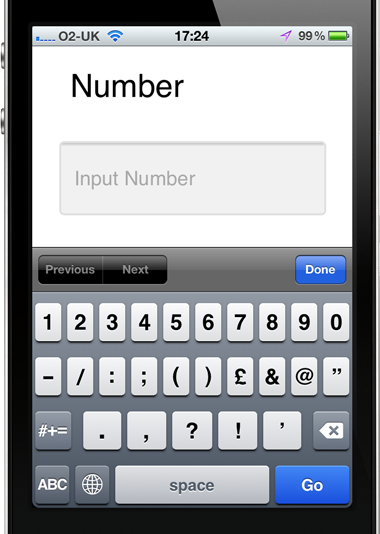 Number – a numerical keyboard which reduces the time-consuming number of taps needed to input information such as a house number. Fewer than 40% of credit card companies are using an email keyboard with just under 60% using the telephone or number keyboard, leaving many applicants dealing with the unnecessary frustration of awkward inputting. This in-field functionality is simple to add and has a positive impact on conversion rates. For many customers, their smartphone is their only or go-to computer. Making it easy for them to complete your form will put you one step ahead of the competition. The length and complexity of credit card forms require a high cognitive load from your customers. These five improvements can help you map out your form optimisation process. More conversions. Less frustration. Dramatically improved UX. But they’re not instantly fool-proof and you’ll need to measure their impact. Ensure the changes are quantified and you’ll soon discover that a few minor alterations can lead to major wins. Who’s Winning At Credit Card Application UX?